Mary Marcuccio, a former Southington resident, has first-hand experience in dealing with the opioid crisis-her own son once suffered at the hands of the nagging disease of opioid addiction. Marcuccio does not live in the past, however. Mary currently works and lives in Florida, partnering with addicts and the families of addicts from across the nation. Her organization, My Bottom Line, coaches parents of addicts, as well as the addicts themselves, on how to proceed after an overdose and how to begin the route to recovery. Many of the addicts she works with have been revived by Narcan-a medication known to block the effects of opioids-namely in instances where an overdose has occurred. 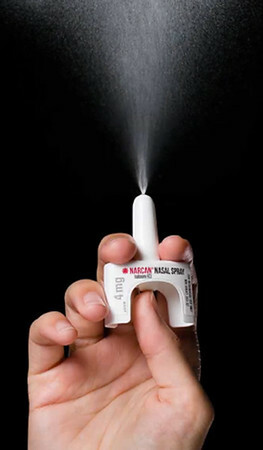 Once only available for use by physicians and medical professionals, Narcan or naloxone now comes in the form of a nasal-spray, and is available as something that works like, and resembles, an Epi-pen. Many first responders now carry Narcan and can administered it. But that wasn’t always the case. Eleven years ago, while still living in Southington, Marcuccio started a nonprofit organization called Parents for a Change which dealt with cases of addiction in a localized way. Conversely, the family consultation she does for My Bottom Line handles cases from around the country. Marcuccio said she started this business two years ago. She has had success in these past 11 years, recalling a particular Bristol resident that she helped get into treatment in Florida. The Bristol man had a fairly long drug history, using for five years every day, and was brought back to the land of the living when his mother revived him by using Narcan. Marcuccio notes that the man’s mother fell victim to a Connecticut law that Marcuccio called “so preposterous.” At that time, the man’s mother faced possible prosecution for administering Narcan, because, until recently, a civilian was prohibited from administering the substance. Marcuccio viewed this as a “Hands on real time example of why the law needed to be changed. When Mike and his parents reached the hospital, the doctor asked Mike’s mother where she had procured the Narcan. Mike’s parents got him the help he needed and he eventually went down to Florida where Mary got him into a rehabilitation center. Mary and Mike’s mother worked together to become part of a testimony in favor of a sensible Narcan law. Their efforts yielded successful results. The first phase of legislation change in Connecticut was that “Any person can get a prescription for Narcan,” the second, “Any person can administer Narcan without prosecution,” and most recently the law has been updated to allow pharmacies to sell Narcan over-the-counter. As the opioid epidemic continues to act as a malicious force, strangling communities all over the U.S., addiction knows no bounds. More narrowly speaking, New Britain saw their own uptick in opioid connected deaths with 35 in 2016, rising to a rank of fifth in the state of Connecticut. And, the Connecticut Department of Public Health cites-in a study conducted between the months of January-April of 2018-a staggering 1,021suspected drug overdose emergency department visits in Hartford County alone. Posted in New Britain Herald, General News on Friday, 17 August 2018 16:53. Updated: Friday, 17 August 2018 16:56.